We are concerned individuals and groups against the world wide nuclear renaissance. 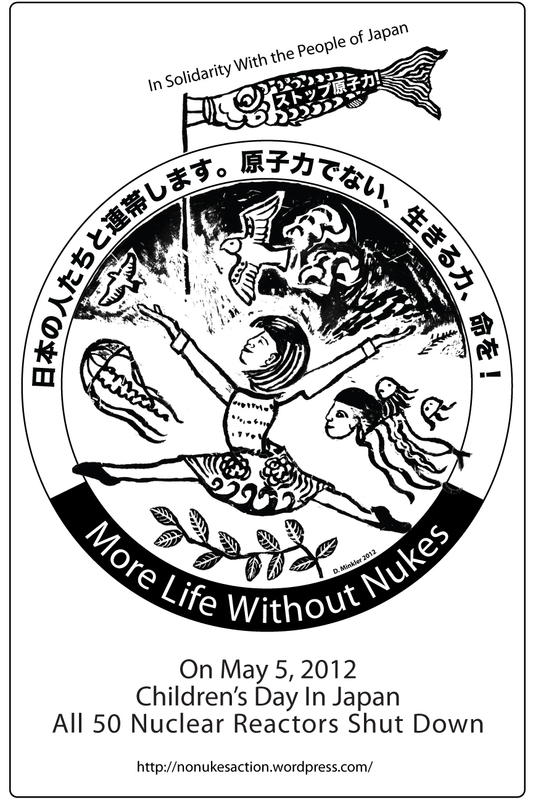 We started organizing after May 7th 2011, and formed No Nukes Action Committee to keep our voices out in solidarity with the struggles around nuclear issues. After the March 11th nuclear/earthquakes incidents in Fukushima, Japan, people stood up for the fights against nukes in Fukushima, North East area, and all over Japan. Germany immediately decided to shut down all of its reactors. Japanese government followed by requesting Hamaoka reactor to stop, geared by people’s efforts to protest on April 10th and May 7th 2011. Yet, Japanese government and Tepco forcibly silence people’s fear and demands to repeal their cover-ups. They work together to avoid the tasks and costs of evacuation and forthcoming compensation. Moreover, Japanese government allied with the U.S. government promotes further nuclear renaissance (exploitation) thought nuclear weapons, uranium mines, and reactors. They force marginalized farmers, fishers, workers, temp workers (freeters), day labors and homeless folks, military and base workers, aborigines/ indigenous, and immigrants and children to take all the risks for further radiation and accidents, as well as the issues of nuclear waste dumping. We who are outside of Japan must raise our voices now to imagine and demand a better world free of nuclear power. Absolutely anybody who believes in anti-nukes causes is welcomed. We are more of a network than an organization. We may be able to help out to coordinate with your anti-nuke event or help out promotion! Please come to our general meeting that is open to public. Bring your own agenda if you want! – Educate the public through conference, anti-nuclear film screenings. Pics available in spanish & french!